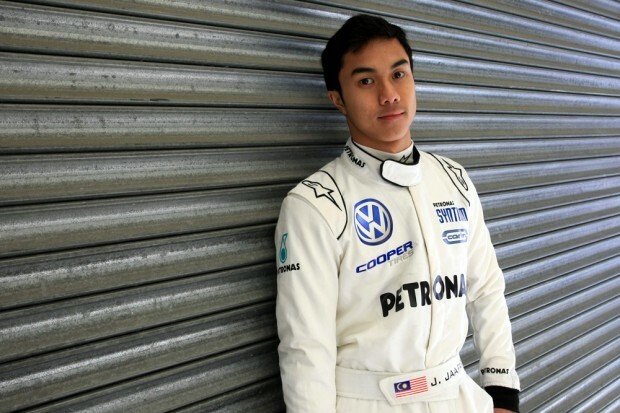 Jazeman Jaafar heads to Oulton Park for the second round of the Cooper Tires British F3 International Series this Easter Bank Holiday, hot on the heels of the season-opener in Monza last weekend. Jaafar is racing for the championship winning Carlin team for his second season in the British F3 Series and enjoyed a strong start to his campaign at Monza, with three top five finishes, including two podiums which have put him second in the Drivers Championship. The Oulton Park event straddles the traditional UK Easter Bank Holiday weekend, with practice, qualifying and the first race taking place on Saturday and the final two races on Monday. The Cheshire circuit is a regular fixture on the British F3 calendar and will be Jaafar’s second race weekend at the venue, having raced there in his first season of F3 last year. The Oulton Park round of the British F3 International Series will feature three British F3 races, the first on Saturday 23rd April and the second and third races on Monday 25th April. The action can be followed on www.tsl-timing.com, with live timing for each track session.